I took this course so I could decide between Premiere Pro and Sony Vegas. Phil did an excellent job of showing the basics of Premiere Pro in a short time. Thanks for the course. This was a great course for free. Really made me want more. I am now going to take the complete course. Phil, thanks for sharing with all from your wealth of knowledge. The course is interesting and your simplicity of approach is incredibly amazing! 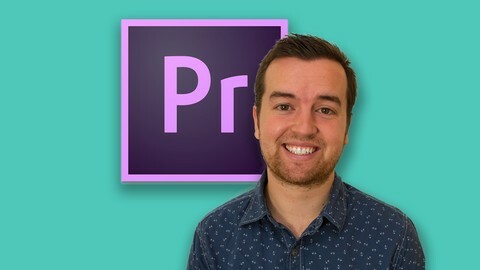 To others out there, I implore you endeavor going through this course and get all you need to become an Adobe Premiere Pro expert user in the shortest of time. THIS IS THE BEST AND THE SIMPLEST WAY EVER to begin your journey to professionalism in Video Editing. I was expecting something more educational. The instructor speakes too quickly and assumes the viewer knows too many things already. If this course is for beginners the instructors should think about this. Teaching is not an easy skill and the instructor should, (inmy opinion, to prepeare what he is going to say and have an structure before start teaching. As everybody knoes, you get what you pay for, Being fee what can you expect? Great course, but sometimes I couldn't quite follow, for example I didn't get the part with the volume and the key frames. But apart from the course was really educational. Thanks! I did find the course helpful but a little more depth would have been useful. This course really helps you to get straight into Premiere and see results! You cover all the basics in super quick time, can't wait to learn more. Thanks Phil, this was brilliant, I'm inspired to start your next course! If you want to learn the basics then this is a good starting point. You will probably want to learn some more advanced stuff (or even a bit more of the basics) after you have finished this. It does cover enough to get you going, but does seem to be setup up as a free taster of the advanced course. I enjoyed this course a lot. It gives a interesting overview of Adobe Premiere's basics. i used to play around with premiere before and never really understood it fully. so this really helped me reinforce what i learned playing around with premiere. good if you have little or know understanding of the program. It was great instruction, but I recommend voice coaching to improve your voice quality. It was kind of scratchy and monotone, like mine. I may have to use Premiere Pro for a future project. This course makes me much more comfortable with being introduced to Premiere Pro by others. My production experience is beginner-intermediate. I have been using Camtasia and other Adobe products CS4, CS5, CC like Flash, Photoshop, Illustrator, InDesign for years now. Mostly self taught but in the past I used snippets from Lynda.com to pick up tips when I got stuck. This is the first time I've decided to watch a video (Udemy) before trying out the product myself. In the Udemy iPhone app you can watch the video at 1.5x speed which I prefer (talk faster!). Can't seem to find that functionality on the desktop version. To see the detail of the screen, you'll definitely want to watch this in HD mode. I have yet to complete this course, I hope to in the near future! the explanations are so easy to follow and understand. complex things are explained in simple steps! I liked the lecture not only it is short and precise, but also direct to the point. Thank you. This is a Great course for me a beginner in Premiere, I have always use final cut and had cs3 cs4 and cs5 but just like final cut when i got the very first version I was scared to open it will Philip you are the man and just by taking this basics course Im think Im ready to dig into the complete course I am very good in all versions of final cut pro but now I want to Learn the ends and outs of editing in Premiere don't know how I found Udemy but Im glad I did Thanks see you in the next round..